Geise has been refurbishing and donating computers since he was in high school. The Shore Foundation, co-founded by fifth-year computing security student Josh Geise, refurbishes and donates computers for those in need. Geise has been interested in computer refurbishment since he was in high school and participated in the Virginia Star Students Working to Advance Technologies program in his hometown of Dumfries, Va. 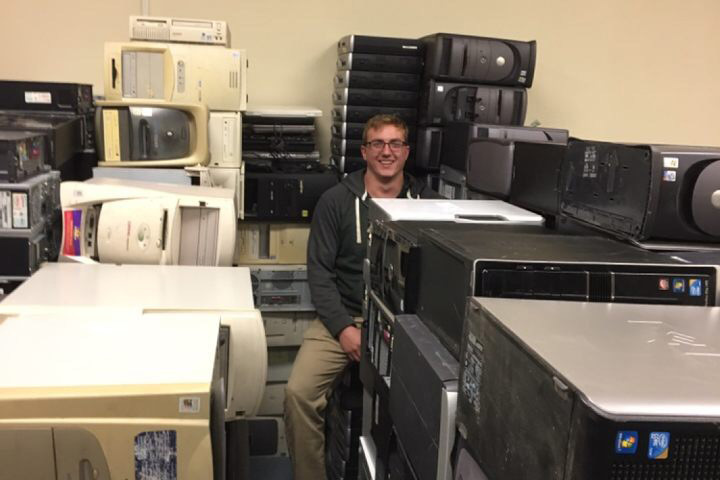 When he came to RIT, he and Brian Martens ’18 (management information systems), co-founder of the foundation, saw an opportunity to make an impact on the Rochester community by refurbishing and donating old computers. To make this impact, they recruited friends from Geise’s fraternity Phi Kappa Psi: Chance Wright, a fifth-year student pursing a master’s degree in business; Charlie Henle, a fifth-year mechanical engineering student; and Nathan Bracalente, a fifth-year mechanical engineering student.